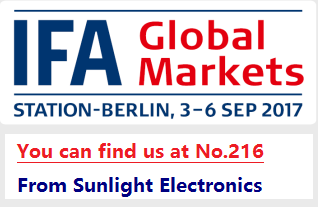 Ningbo Sunlight Electronics Co., Ltd.
Hello, welcome to visit our booth during 3rd~6th,Sep. in Berlin IFA show at Hall 3-No.216. High lumen torch are waiting for you.